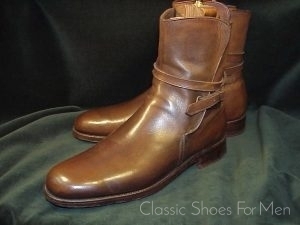 44.5C......(US 11C)…. 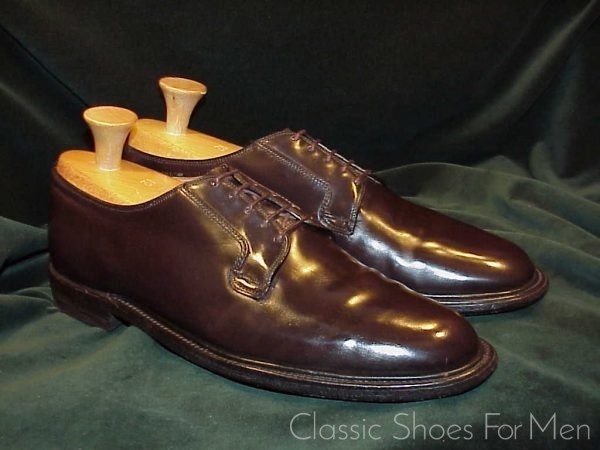 (UK 10D), für den etwas schmalleren Fuss. 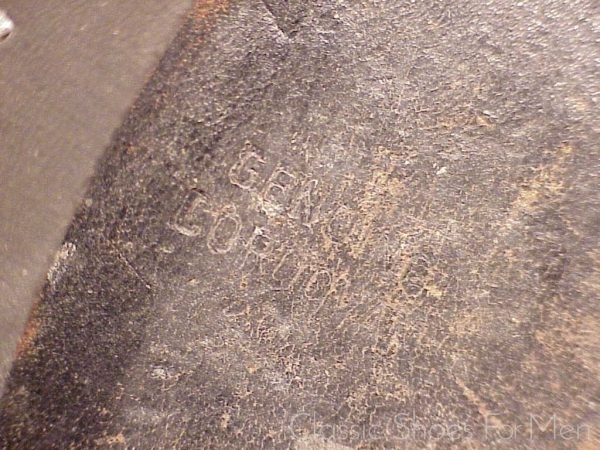 Sohle leicht getragen, Absatz renoviert. 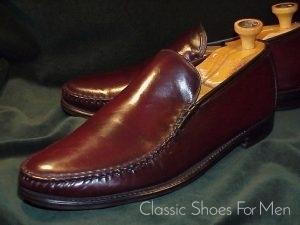 This is one of the last examples of this iconic American shoe produced by the firm. Nettleton, one of the great erstwhile American Shoemakers, was founded in 1879 in Syracuse, New York and remained in existence for almost exactly 100 years. 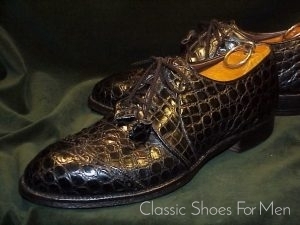 The cost to produce shoes of this quality made Nettleton uncompetitive with the, then, relatively new influx of stylish but light-weight Italian shoes and the firm, with its old fashioned management and its ageing workforce, unable to adapt to changing market condition, succumbed to the inevitable. The factory was converted to apartments and retail space in the 1980s. 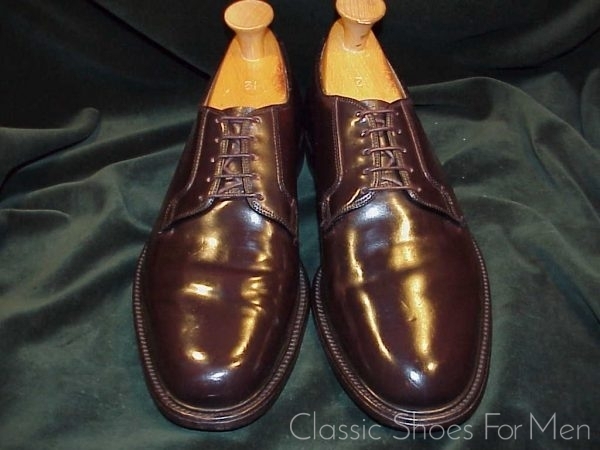 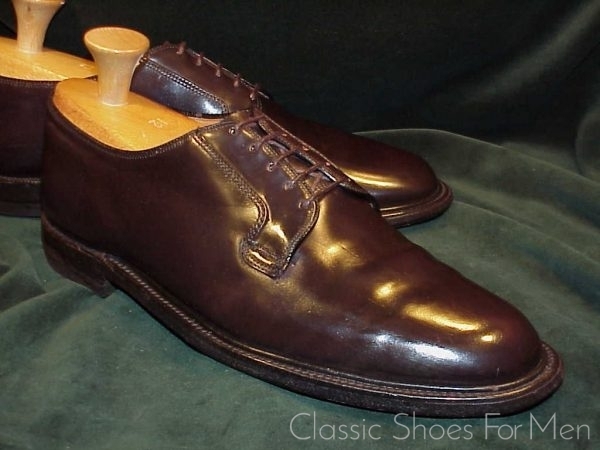 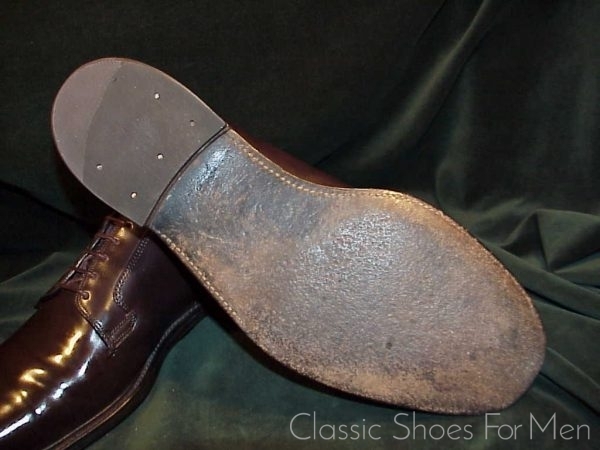 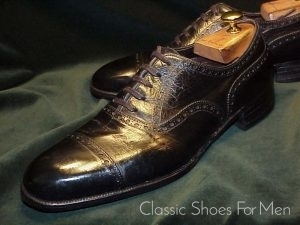 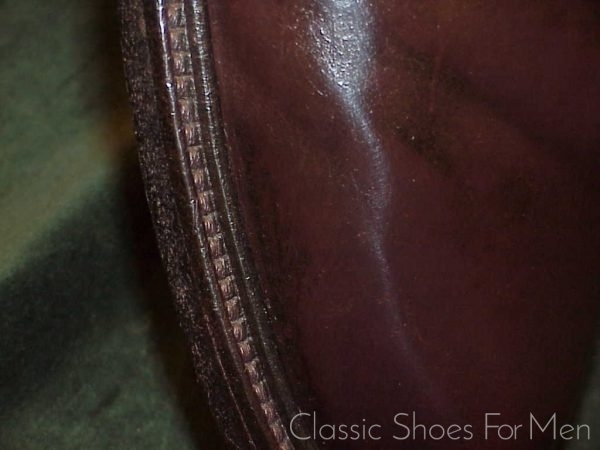 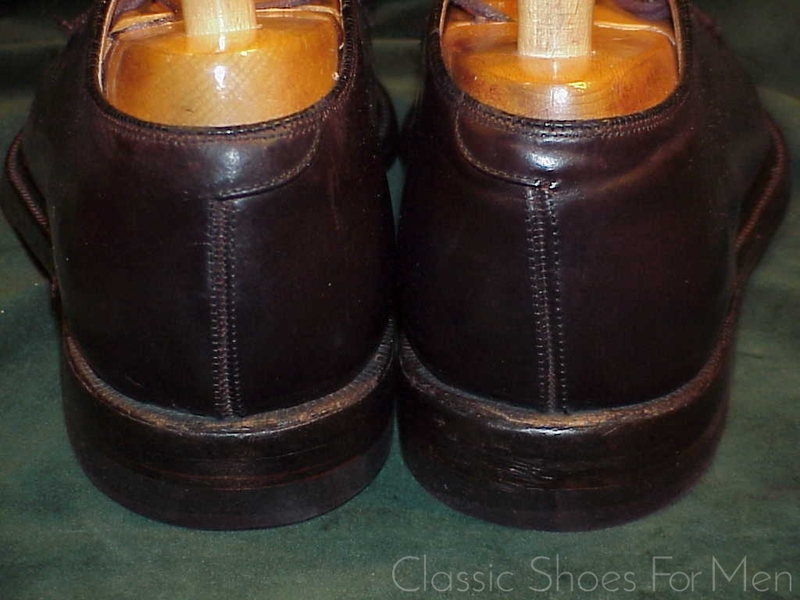 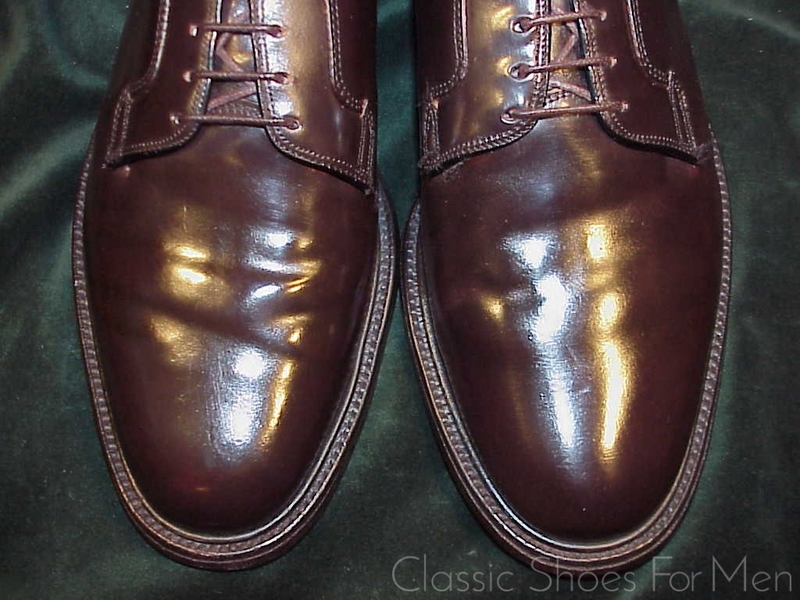 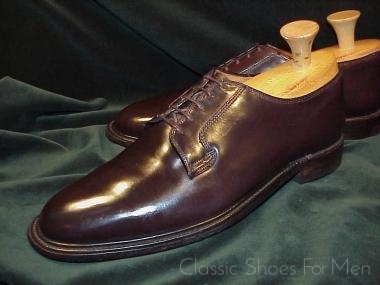 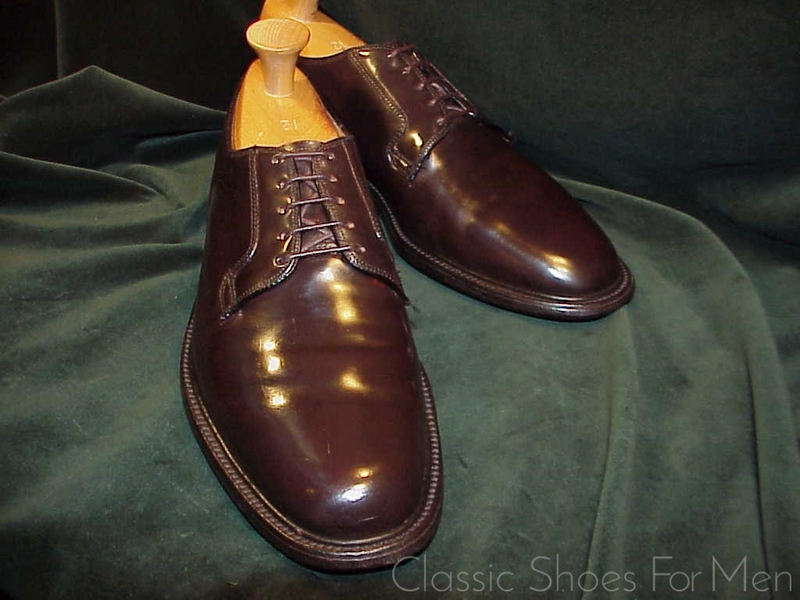 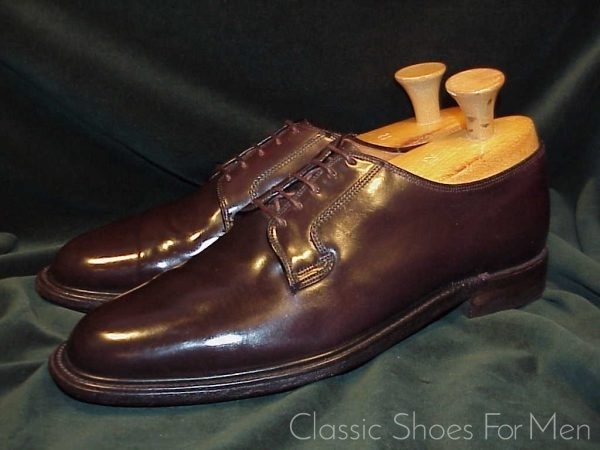 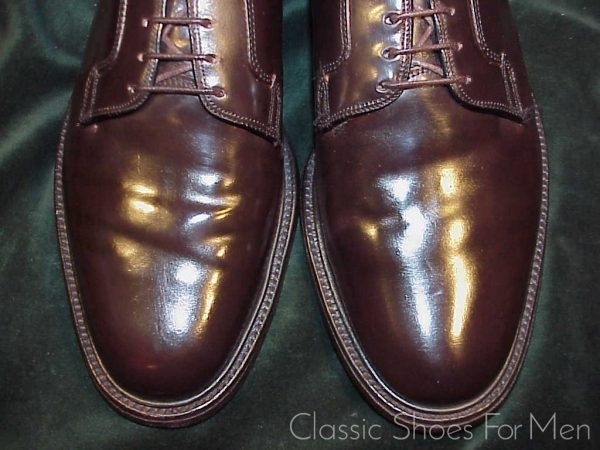 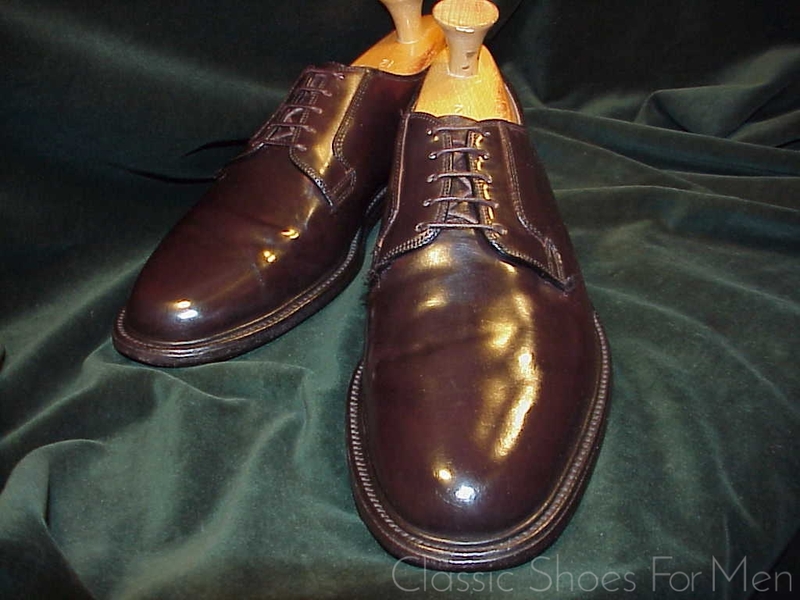 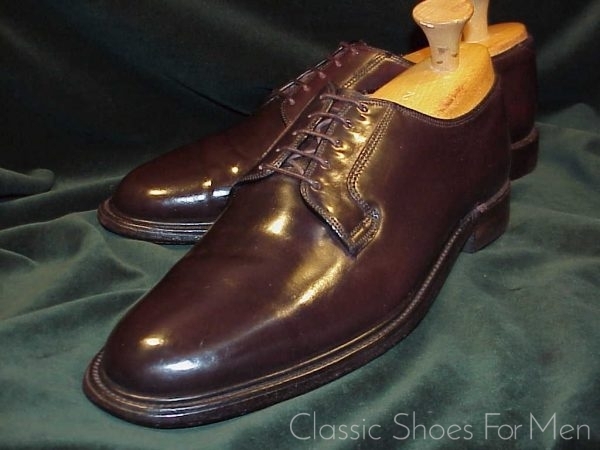 This vintage Cordovan Derby by Nettleton, with double sole and additional split-reverse-welt (storm welt) is far superior in build and finish than most shoes on the market today with build quality to competes with Florsheim’s best and positively superior to almost any ready-made shoe today, including J. Lobb and E. Green…and more than a few custom-made shoes as well. US 10.5C…. 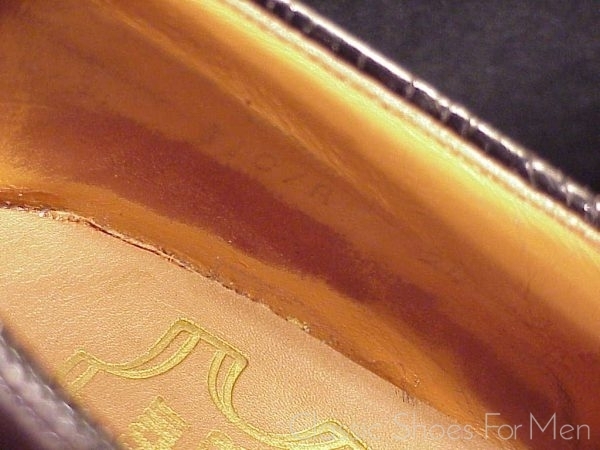 (UK 9.5D).......Continental 44C, for the somewhat narrower foot.